GUELPH, ON – Wellington Brewery has announced details of a new beer and holiday event presented by its Queen of Craft series of beer education events for women. 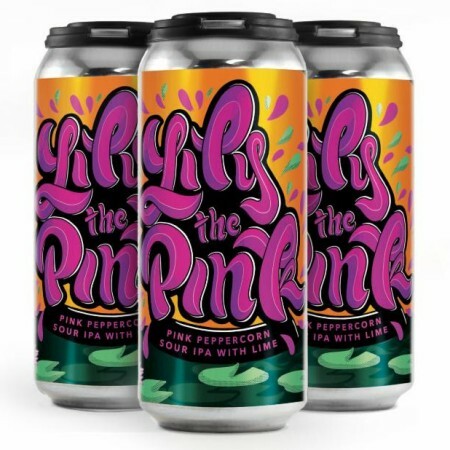 With a balanced acidity and harmonious complexity, Lily the Pink Sour IPA with pink peppercorns and lime is a tart, refreshing burst of citrus, balanced with a subtle spicy pepper finish. Pink Peppercorns have many medicinal properties. The 1968 folk song “Lily the Pink” celebrates the town healer, and her save-all tinctures. Lily The Pink will be released at Wellington Brewery retail store and online shop on Saturday December 1st, with an official release party on Sunday December 2nd from 2:00 to 5:00 PM. It will also be available at the Queen Of Craft Holiday BeerZaar, taking place on Saturday December 1st at 10c Shared Space (42 Carden St., Guelph), adn featuring “a vendor marketplace, discussions, workshops and more”. For more details and to reserve spots for the workshops, see the Eventbrite page. Proceeds from the beer and event will be donated to Guelph-Wellington Women in Crisis.